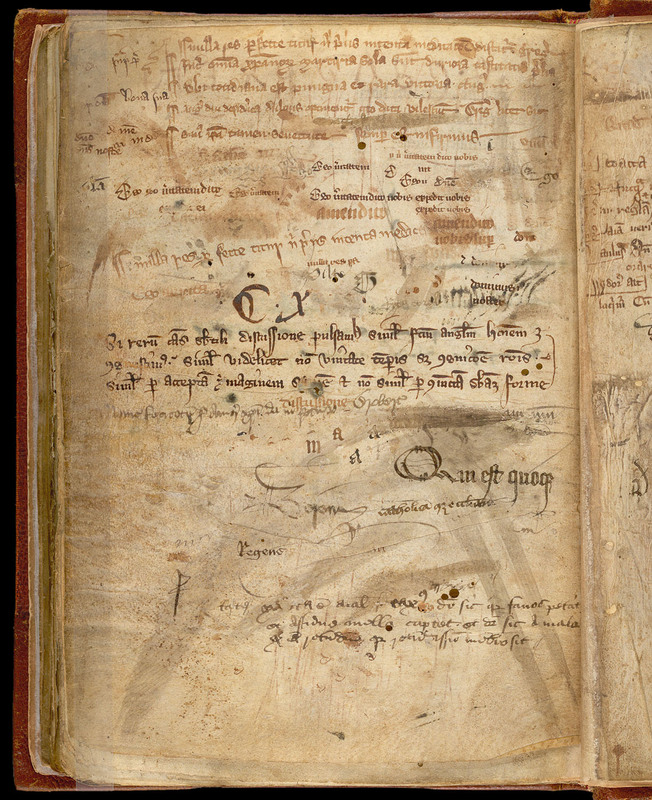 The last couple of weeks I’ve found out that the British library have started to share scans of old manuscripts. First of all this is great from a historical point of view, but secondly it is a gold mine for me as a cartographer. A lot of those scans are absolutely perfect to use as backgrounds for maps. And they are all free to use. 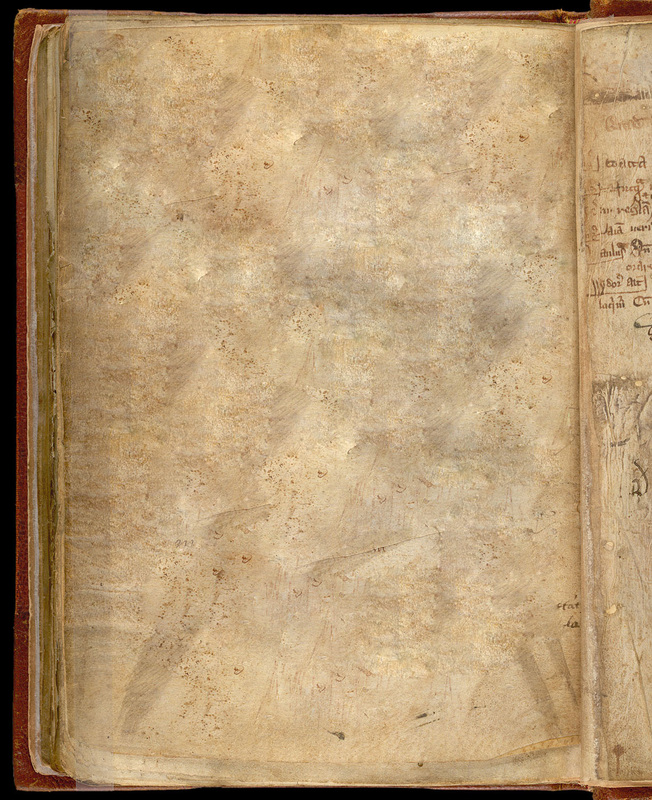 However all of the pages are covered with more or less areas of text. 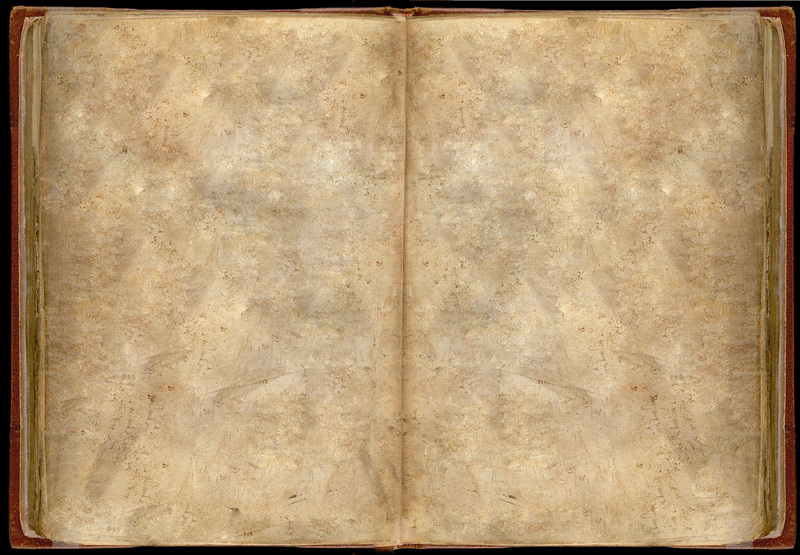 So to be able to use them as a background for a map I first had to clean the book pages so that they appeared to be blank. I located a scan that wasn’t too covered in text (see picture at the top of this post), so I could start cleaning it. The easiest way of removing the text is to use the patch tool in Photoshop. To do that, do as follows. First open your picture of the scan and select the patch tool. With the Patch tool you mark out an area with text, not too big. Find a place on the page where there is no text and drag the selection you just made with the patch tool to the empty area and release the left mouse button. The area with the text will now be blank. Continue in this way until the whole page is blank. The end result will look like the picture below. Now when you have one side of the book you might also want two sides next to each other, so it looks like an open book. To do this you extend the canvas (image\Canvas size) so it is twice as wide as before. 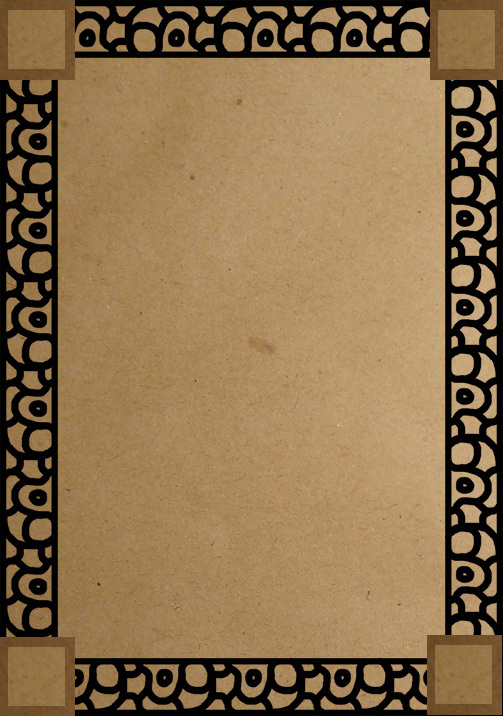 Then copy the layer with the book page and flip the new page horizontally (Edit\Transform\Flip horizontal). Then it is just a matter of making the two pages fit next to each other. It can be a bit fiddly and you have to erase some areas. When you are satisfied with the result just flatten the image. 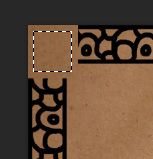 If some areas still look strange or if the pages look too similar next to each other, just use the patch tool again to remove those areas. When the pages are done it will look something like the picture below. Feel free to use the images attached in this post however you wish, after all they are not really mine. Or head over to the British library and get some scans of your own. When you make a map one of the hardest, and most important things, is to get a good coastline. If the coastline isn’t believable the map wont be that either. So how do you get a good coastline. I know for sure that it is hard because this is one of the things I’ve been struggling a lot with since I started to make maps. Well not anymore, not since I started to steal them. I mean why should I create something that I can steal? Now you might start to consider my moral judgement here, I mean you are not supposed to steal, right? But when it comes to the coastline I think we can make an exception. Of course you don’t do it from other peoples work you do it from maps of the earth. Earth has so many coastlines and I can assure you that no one will ever see that you stole it in the first place. Just stealing a part of earth, lets say the coastline of Denmark wont work, because then everyone will recognise it, and the magic of the map will disappear, it will just be an alternative map of Denmark and not your new fancy fantasy region. To avoid getting caught, getting caught is bad due to the reason mentioned above, this is how I do it. First of all I’m deciding on what type of map I want to do, for this little tutorial I’ll make a map of a coastal area with some Islands. Lets continue using Denmark as an example, the country has some really nice looking coastal areas that can be used. Zoom in a bit on the map, I’m typically using Google maps for this, and start looking for some nice areas. When you find one make a screen capture of it and paste it in a new document in Photoshop. Continue in this way until you have a couple of different regions. Cut away all the uninteresting bits, the bits you don’t want to use. Paste all the parts you are going to use into a new document. 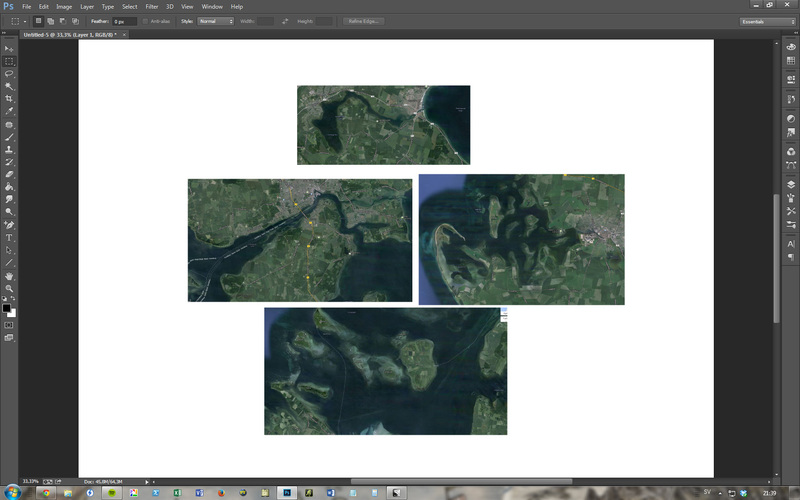 In the picture below you can see the four different regions I’ve picked for my map. Now when you have all your pieces in the same file it is time to arrange them together. Do this by rotating them, flipping them and so on until you get a structure that you like. At this stage you might also find out that you need an extra piece or that you have one that don’t work. I for example felt that I needed one more piece of coastline to get it right, so I stole another part of Denmark and added it in. When you are done you will have something that looks like the picture below. 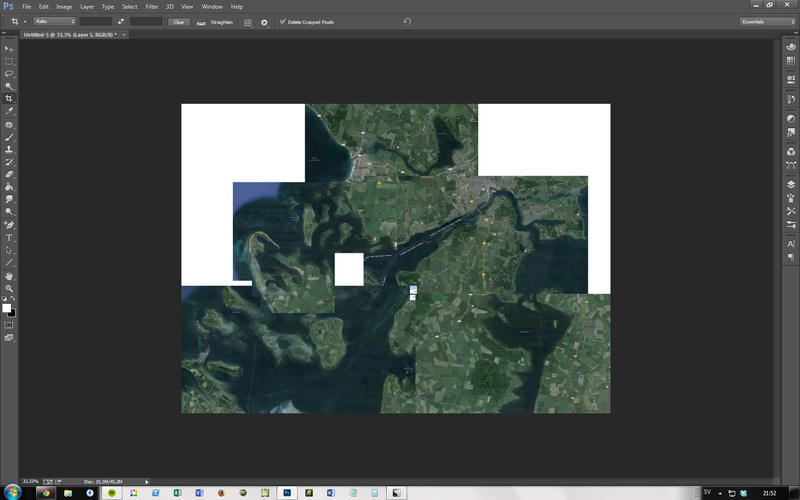 Now it is time for the next step in the process, drawing.The first thing to do is to merge all the layers with maps from Google earth, then I change the opacity of the layer to 50%. Add a new layer and select the brush tool. 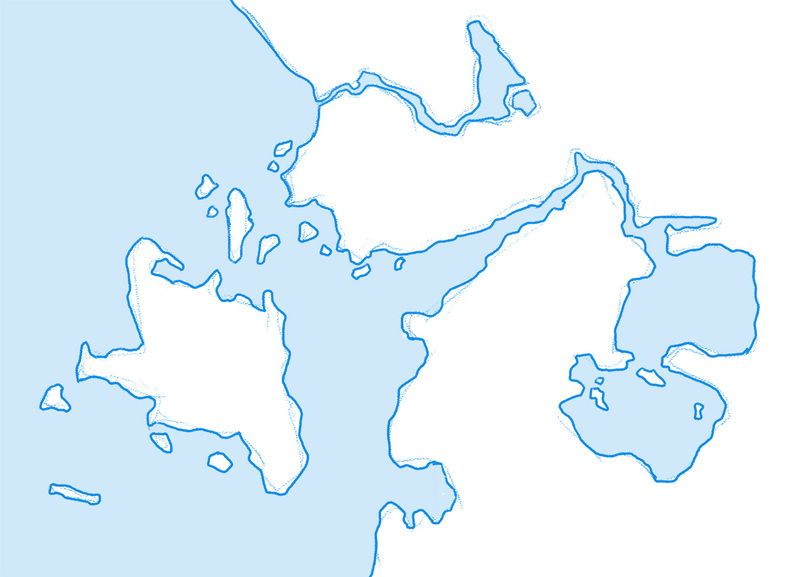 Now it is time to sketch the actual coastline, I usually do this with a blue colour, that will make it easier to draw in the lines for real later, in black. I try to just follow the coastline that I see in the merged map pictures, sometimes I do some small free hand changes, but most of the time I follow the real coast line. When you are done it is always good to hide the Google maps layer and look at the coast line you just made. Sometimes you now see things that looks strange, erase those and draw some new lines. I also like to add a pale blue colour to the sea/ocean, so I clearly can see what is land and what is sea in the map. Below you can see my coast line. Well that is about it. Now it is time to maybe add in some mountains, rivers, forest, cities or what ever you want to fill your world with. When the sketch is done just select the brush you want, change colour to black and start drawing on a new layer. After my post of the Halle map I’ve got a couple of questions on how I make the borders on my maps. So I thought I could make a quick tutorial for those interested. This is probably just one way of doing it but it works for me, and hopefully it will work for you too. I’ve used photoshop while writing this tutorial but it will probably work with other advanced photo editing programs as well. The tutorial also assumes that you know the basics of Photoshop. At least that will make it much easier to follow. First of all you need to create a new image, I made one that is 120×220 pixels big. Create a new layer in the image and make sure you have it selected. Select all (ctrl+a) and chose Edit/Stroke. In the new window put in the value 25 pixels and select ok.
You will now have a picture that looks like the one below. Select the Crop tool (C) and select the image below the upper and lower black border. So that when you crop the picture you shall end up with a picture with only black borders on the sides. Now it is time to draw the pattern. This step is much easier if you have a Wacom pen instead of a mouse. It will give a better precision. You can still use a mouse but the work will probably take longer and be much harder. Select the Brush tool (B) and make the size of the brush something around 15 pixels wide. Create a new layer and start drawing. Make sure that you don’t draw at the top or the bottom of the image (marked red in the picture below). When you are done merge the two layers that include the border and the newly drawn pattern. 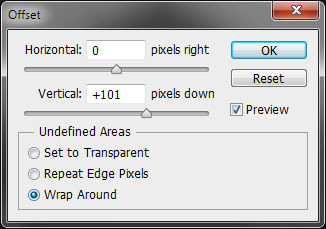 When this is done make sure you have the layer selected and click Filter/Other/Offset. A window like the one below shows up. Put in the same settings as in the picture. This will move your pattern so that the top and bottom (the parts that in the earlier picture were red) now are in the middle if the picture. Continue drawing in the middle of the picture and apply the offset filter. Continue this way until you are satisfied with the pattern. When you are done you will have a tile that is seamless at the top and bottom. 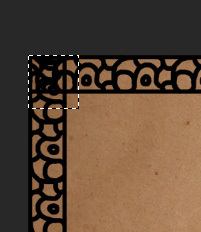 Now it is time to open a good paper texture (try a google search if you don’t have any) and copy the pattern layer to the paper picture. Copy the pattern layer and place it below the first one. Then merge the two layers and copy it again. Continue in this way to build up the base for your border. When you are done it will look as in the picture below. Now copy the border three times and move those copies to the other sides of the picture. Then merge the now four layers. As you can see the corners aren’t really looking good. So now we have to make some corner tiles that we can use. Start by choosing the Rectangular Marquee tool (M) and mark one of the corners as below. Now make sure that the paper texture layer is selected and choose copy (Ctrl+c) and then paste. 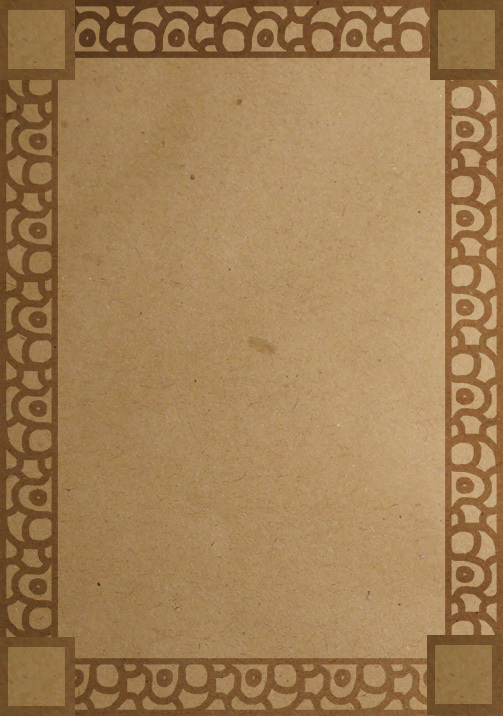 You will now have a nice paper textured corner. Move the layer to the top of your image. Now make a smaller rectangular selection in the corner and click Layer/Inverse and then click Image/adjustments/Curves. Now make the outer part of your corner darker by dragging the line in the new window downwards. When you are pleased with the result press ok. Copy the layer three times and place one corner tile in every corner. Now it is time to make the rest of the border look nice. 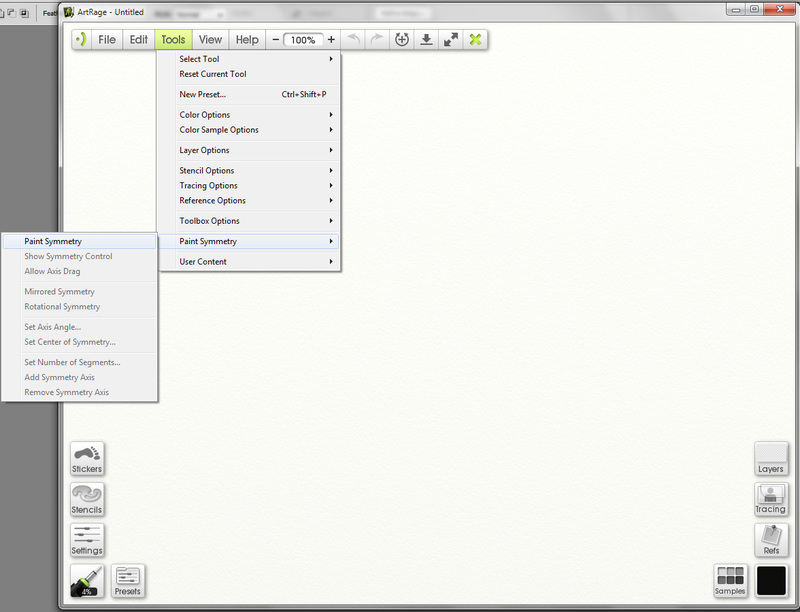 Press the Ctrl key and click on the border pattern layer in the layer window. In this way you will select all the black in the pattern layer. 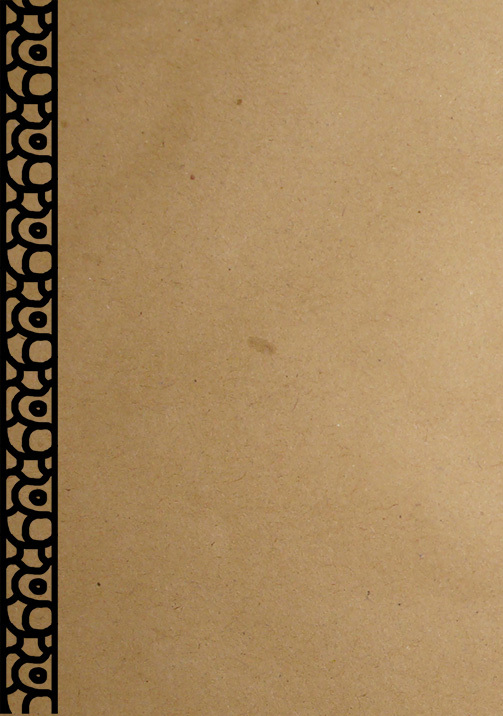 Keep the selection and mark the paper texture layer and click copy (Ctrl+c). Paste the copied selection in a new layer and do the same procedure as with the corners to darken the border. Well that is about it. You now have a border that you can use in your maps. One last piece of advice though is that this is just a quick guide how to do this. Experiment while following the tutorial and you will probably find ways that will feel both easier and more natural to you. The other day I decided to upgrade my version of Artrage from 3.5 to the new 4.0. 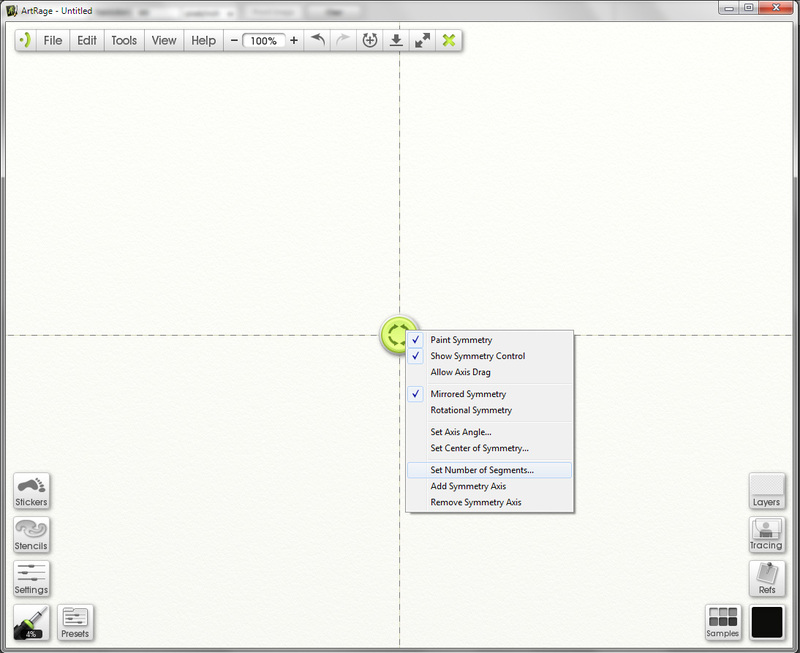 One of the new features in the program is that you can draw in symmetry, or as it is called in Artrage Paint symmetry. First when I bought the program I didn’t think much of this feature but after some testing I’ve realized that it really has some great potential. For example I started to experiment doing compass roses, and to my surprise the symmetry paint feature is a big help. Here is a quick tutorial on how to make a compass rose as the one in the picture at the top of this post. First of all start up Artrage and click Tools-Paint Symetry-Paint Symmetry, as in the picture below. This will give you the default symmetry where the picture is divided into four squares. This means that if you draw something in one square the stroke will be repeated in the three others. If you like to have a compass rose that only shows N,S,E and W this will do fine. If you however also want the rose to include NE,SE,NW and SW you have to increase the symmetry segments to eight instead of four. To do this you do the following. Point with mouse at the circle in the middle of the picture and click with the left mouse button. This will open up a new menu as seen in the picture below. Select Set number of Segments and put in the number you like, the maximum number of segments are twelve, but in this case we only use eight. The work area will now look like in the picture below and it is time to start drawing. At first do some test strokes that you later delete so you understand the logic behind the symmetry, it’s not that complicated. 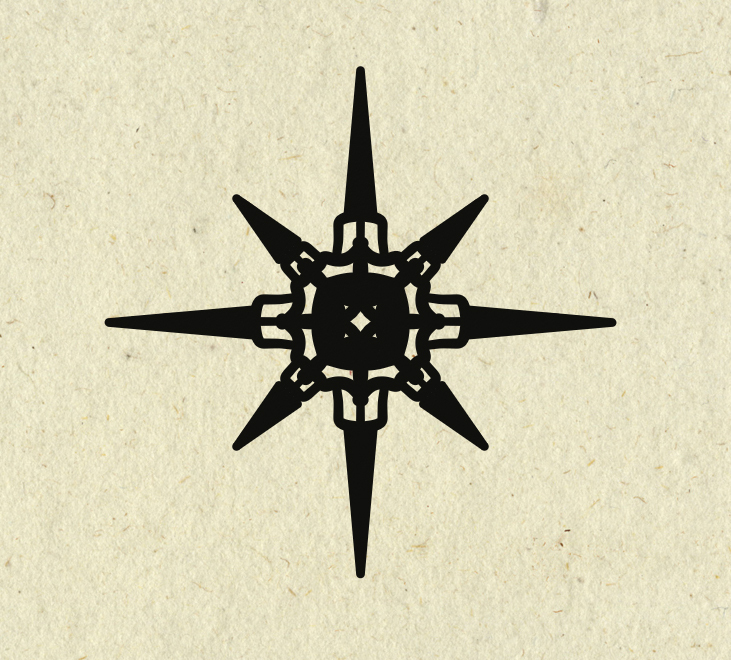 Making a compass rose shouldn’t be too hard, making a good looking one might be a bit trickier. I really wish I had more time to do dungeon maps. But for some reason it seems that I always end up doing overland or city maps. Don’t take me wrong, I really love doing those maps but i just wish I had more time for dungeons as well. Mostly when I make dungeon maps I use Dungeon designer 3 (DD3) from Profantasy. The advantage of the program is that it let you create a map very quickly. You can of course spend millions of hours on details in the maps but if you just need a quick map for an evenings game DD3 will let you make that. Whenever I make a dungeon I usually try to make a quick sketch on paper. This will make it easier when you start working on the map in DD3. In DD3 I usually start with putting out the floors for the rooms, when those are in place I start to make all the floors for the corridors. If you don’t have a sketch to use as a blueprint this work will be much harder. When all the floors are in place it is time to place all the walls. You might wonder why I don’t use the room tools in the program, where you place floor and walls at the same time? Well the problem with that approach is that you have to do a lot of cutting in the walls to get all the doors in, or just to open up for the corridors. When I started to use DD3 this was the approach I used but after a couple of maps I changed the working process to first place the floors. And in my opinion that works much better. When all rooms and floors are done it is time to add in some details. I always start with doors, then I place tabels, traps, torches, blood stains etc. This last step can take everything from an hour to four, five hours. It all depends on what you need the map for, an evenings game with some fiends or to publish in an adventure. 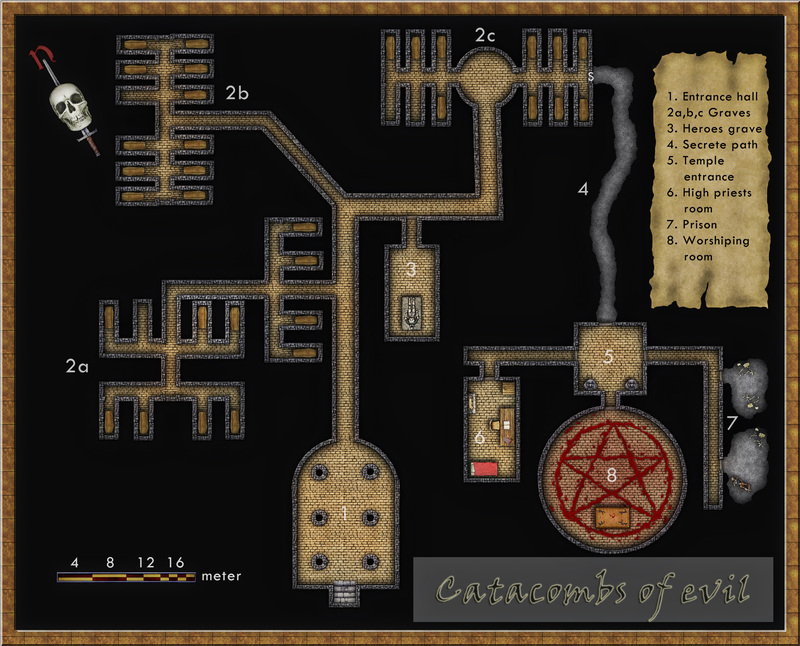 The map below, Catacombs of evil, was a test map I made when I first purchased DD3. It is made in Jon Roberts great style, that is free to download from here. When I made the map i pictured an evil cult hiding in the catacombs under a temple where they worshiped some demon. The adventurers mission would be to find the cult, free the prisoners and kill the demon. The map is completely made in DD3, apart from labeling and the red light effects in room 8 that are made in Photoshop. Finally here is the second part in my overland mapping tutorial. If you want to read the first part before continuing you can find it here. As usual this is my view of mapping and you might agree to it all or just parts of it. The important thing to remember is that this is one view of mapping, and not the only one. Ok back to the map. We have some landmass, islands and seas so what’s next. At this stage I always try to place mountains and hills. If you desire you can try to work out where you would have tectonic plates and from that information decide where to put the mountains. I never do that, I’m more going for the “if it looks good it looks correct” path here. First of all I often try to use my mountains to divide the landmass into different areas. It is an easy way of making natural borders in the map that you later can use when it is time to decide where to put the borders between different countries. Secondly I try to make my mountain chains curved. If you make them straight the map will, in my opinion, look a bit stiff, which will give you a less good looking end result. When I say curved I don’t mean that they should look like circles. Curved mountain chains will give more life to the map, it will get more fun to look at. Also try to break up the mountain chains at some points. It will give you some interesting valleys and passes that can trigger the beholders imagination in a good way. Is there really a more interesting place for a campaign then a mountain valley full of orcs or strange creatures, maybe a deserted watch tower or an old haunted burial ground. Around the mountains I place some hills to make the transition from mountain to field look more natural. A good idea might also be to put some hills between two mountain areas that are quite close to each other. It will connect them in a nice way. When you’re done with your mountains it is time to start on the rivers. The basics when it comes to rivers are that they flow from high ground downwards, they don’t split downwards, but they can have more than one starting point. Usually they also try to get to the sea the shortest downhill way. If you try to follow those two rules the rivers will look more naturally. Another thing to think of is that the straighter the river is the faster the flow of the river will be. Most rivers tend to be straighter and faster in the beginning and closer to the sea they usually will slow down, which means more curves. When I put rivers in my maps I tend to do them quite curvy. It will usually look better, straight rivers just don’t get the right feeling, at least that’s my opinion. So far on the blog I’ve mostly written tutorials regarding towns and cities so I thought it was time to change the focus for a while and do one on overland mapping. 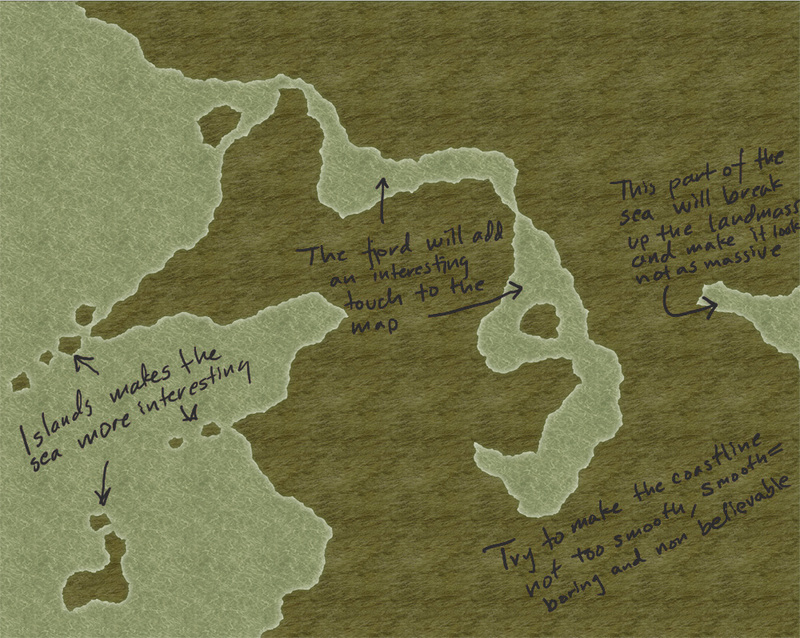 This will be more of an overview tutorial on how I think and plan when I make a map, so it won’t be very technical. This means that you can use this tutorial regardless what program you use when you map, even though I in the tutorial will use a map made in CC3 as a reference and example. The first thing to take into account when you start an overland map is the landmass. How much of the map will be water and how much will be actual land? This is probably the most important step in your map because it will set the boundaries for what the end result will be. So already here I’m having a quite clear view of where I want to go with the map, shall the map be land based, island based or something in between. Below you see my map “Sagorike”, that I’m using as an example in this tutorial, with only the landmass viewable. I’ve also written some things in the map that I had in mind while drawing. A good thing to do before starting on your landmass is to look at the real world (Google earth is great for this). If you want a lot of fjords, have a look at Norway, Island based, look at area outside Stockholm for example, and so on. It is always good to find inspiration in the real world. It will make your map look more believable, and believable maps tend to look good. However when I make maps of worlds the most important thing for me is that they look good and in some part convincing. It doesn’t matter if the world doesn’t work geologically or physically, as long as it looks convincing. To make it look convincing you have to get the things right that the majority of people can spot, like rivers, they will NEVER split downwards, lakes, there is always only ONE outflow, or deserts, make sure that you place them in a way that it looks probable that no rain will get there, and so on. If those small details are correct it is more likely that the viewer will believe in the whole map, regardless if everything in it is possible according to our physical laws or not. That is all for now, in the next post we will start by placing the mountains in the map.